You have a strong influence upon your love-life satisfaction. Real Love can be yours, if you believe it. Stay optimistic and take active steps to positively manifest the love life you desire. Your positive outlook will make you a more physically and energetically attractive person, which will help your relationship with yourself and everyone else around you. Don’t worry- it’s all working out in a beautiful way. By trying to control others or external circumstances, you’ll only frustrate yourself. There are plenty of times in life that call for you to take charge, but this is not one of them. Be open to all possibilities and trust in the Universe’s infinite wisdom and compassionate love. Enjoy the creative avenues in which True Love comes to you. Have patience, as there are unseen factors that need to occur first. Every relationship is a synergy of blended energies. Elevate your spiritual frequencies so that you attract a partner of a similar nature. You deserve to be in a relationship of mutual attraction, appreciation, understanding and Love. Your current situation calls for action on your part. Spend time clarifying your desires – then tell the Universe exactly what it is that you want. Expect a positive outcome, and your expectations will be rewarded. Everything is exactly as it needs to be. As you follow the path that you are currently on, trust that it’s leading you in the right direction. Your present situation is here to bring you blessings and personal growth – leading to the romantic Love that you desire and deserve. All things are possible. The focus of your work is shifting in a positive, new and successful direction. Listen and follow your intuition about your career. Don’t allow emotions to blind you to characteristics or habits that won’t work for you in a relationship. Pay attention to your feelings and impressions. The Universe will guide you to take steps that are beneficial for everyone involved. Your current situation calls for you to be assertive – but let go of unhealthy communication habits and speak your truth with Love. Stand up for your beliefs – be honest with yourself and true to your values. Repeat to yourself “I’m no longer willing to carry toxic energy within my mind and body,” and release suppressed anger. Your feelings influence your choice of romantic partner, and the way in which you deal with relationships. Put forgiveness into action – once you find inner peace, you’ll no longer need to attract unhealthy relationship patterns and partners as a way of healing emotional wounds. Leave the unhealthy situation & enjoy new doors that will open as a result. The more you love who you are, the greater your capacity to feel loved by others. So, spend some time alone and delve into introspection to understand the patterns of your love life. Let everything else from the past go except for the Lessons & Love. It is important to Love yourself first – this will lead to healthy friendships and romances based upon mutual respect. Use positive affirmations to lift up your thoughts and energy and to attract what you desire. The Cards suggest an Upcoming Wedding (your own or someone else’s). Possibly a validation that you will get married, you’ll meet a significant other at an upcoming wedding, or experience something there that will lead to new romance for you. But, continue to enjoy life without worry about your future marital status. It may also be a time for you to look at your present or past marriages and review your feelings, with the intention of healing your heart and your relationship. Healing energy surrounds you and this situation. The Universe wants to help you fall back in love with life again by guiding you to enjoy yourself. This comes from a place of joy and adventure. When was the last time you had fun? Fun is a necessity, not a luxury. Playfulness is a good investment of your time, as it will renew your energy levels and elevate your mood. Also, release yourself from the inability to offer forgiveness. You’ll benefit enormously by making the decision to detoxify yourself of anger and resentment. Stay open to the possibility of your soul mate appearing in a form that may differ from what you expect. You may have already been introduced to this person but have overlooked his/her romantic potential. Keep an open mind and take the time to get to know the various individuals you meet. Worse case, you will learn more about yourself and may make a new friend. Consider healthier dietary changes at this time- improve your lifestyle and other areas will also improve. Spirituality is a subtle but an important factor in your love life. 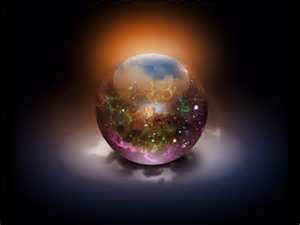 Perhaps you are seeking a relationship with a partner who shares your spiritual beliefs. It’s also possible that they may have the same principles that you find important without having a spiritual connection. Either way, it’s not up to you to change your partner to match your spiritual path. You or someone close to you may be expecting – the birth of this child brings great blessings to you and the world. You’ve been harboring emotions that are masking your feelings of Love. Your love life needs a healthy infusion of honest communication. This is a necessary move to ensure the health of your relationship. Your heart-to-heart discussions will result in personal growth. Your present situation is teaching you many valuable and important life lessons. You’re now taking that wisdom and beginning a new journey. Be open to this change, and great things will happen. The feeling of rest and relaxation may remain present for hours or even days. 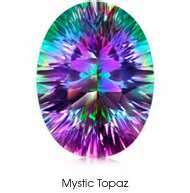 Mystic Topaz is also known as Fire Topaz, Mystic Fire Topaz, Caribbean Topaz, Alaska Topaz, Alaskan ice and Rainbow Topaz. These are all different terms used to describe the same gemstone treated by titanium vapor for a permanent rainbow of colors. Mystic Topaz is white topaz that’s treated with a permanent bond to have a wide variety of colors, the blue-greens being the best known. Mystic Topaz has a combination of the properties of white topaz and the color energies brought to the stone through its permanently bonded color. Topaz is known as the stone of Jupiter. It represents rule over one’s own life, self-realization and wisdom. Topaz gently opens the throat and third eye chakras, making communication easier and more effective.